3D printing isn’t a new concept, but as it grows throughout many different industries, it’s worth talking about. It’s predicted that around 2020, worldwide shipments of 3D printers will reach 6.7+ million, and the market forecast will reach $26.5 billion! 3D printing will reach values in the billions for many different industries including medicine, aerospace, dental and automotive. 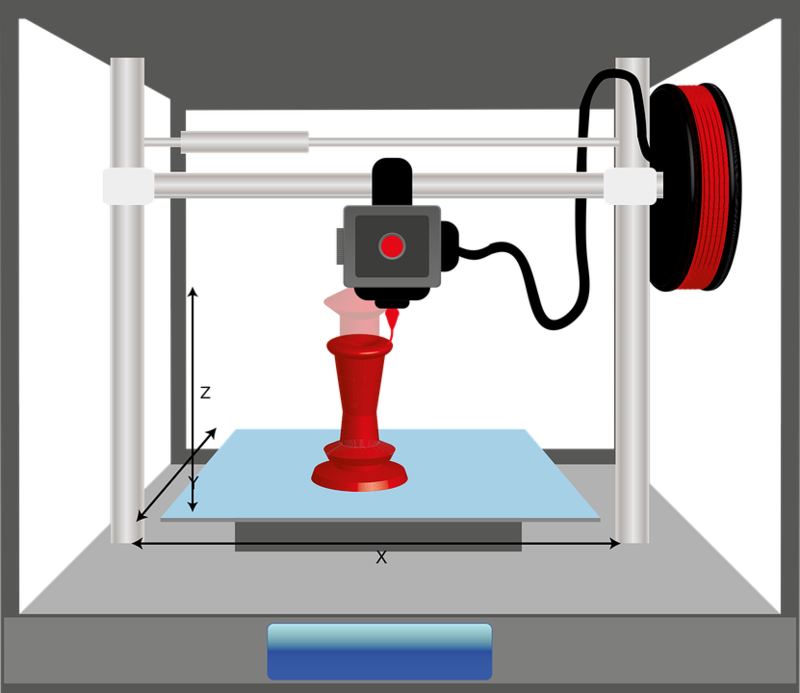 Not only is 3D printing projected to grow rapidly, but it’s a great saver of time and money. For example, if Boeing continues to use 3D printing for titanium parts in their 787 Dreamliner, they could save $3 million per jet. And, if Honda’s division McLaren Formula 1 Racing team uses 3D printing for their hydraulic brackets it will take up 4 hours of their time as opposed to two weeks. 3D printing is also being used in some unexpected ways. People have produced prosthetics, food, clothing items and cars through 3D printing. These amazing and innovative products pave a whole new avenue for 3D printing today. Let’s first start with cost. There are many factors that go into buying a 3D printer, including what you want to print, what materials you want to print with, how high of a resolution you need, what colors you need, what surface you want to print on, and so on. Many printers that cover all of these options are going to cost upwards of $1,000+. For the average person this just might not be in the budget, and this doesn’t even start to cover the cost of materials. Another reason would be need. People just don’t see the need to have a 3D printer in their homes. In a world where you don’t even want to print your own photos, people definitely aren’t jumping up and down to print other items when the ease of going out and purchasing or ordering online is available. As we see it, 3D printing has really come a long way in the industrial world and the possibilities with 3D printing are endless. But as for 3D printers showing up in the average person’s house; well, we’ve got a ways to go.